Bullies aren’t found just in schools, on playgrounds, and online. There are bullies in offices everywhere. Adult bullies can be sneakier and less obvious than their child and teen counterparts, but their actions are just as harmful to people and productivity. Withholding information or resources that people need. Spreading hurtful and/or insulting rumors and gossip. Humiliating and disrespecting people in public. Being hypercritical and negative toward a specific person. 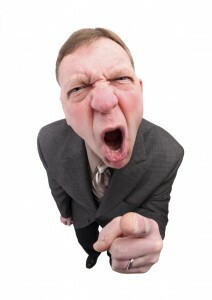 Undermining a person with management and their team. Isolating and blatantly ignoring a person. Take action as soon as you become aware of the bullying. Delay can make the situation worse. Research the situation. You need facts to ensure that bullying is really occurring. Consider the sources of anecdotal reports. The interests and agendas of the people who give you evidence can color their interpretations. Be completely fair, reasonable, and objective! Document the bullying behavior and its consequences to both the person being bullied and to the work environment. If you discover that bullying is occurring, follow your company’s policies and procedures for taking corrective action and ask for assistance from your HR department. See my blog post The Dangers of Office Gossip for more information. Does Positivity at Work Really Make a Difference? It does, according to Shawn Achor, author of The Happiness Advantage: The Seven Principles of Positive Psychology that Fuel Success and Performance at Work (Crown Business, 2010). Based on his research and the happiness course he helped design at Harvard University, your positive attitude as a manager is a critical factor in how positive, productive, and happy your team is. One easy way of demonstrating a positive attitude is to notice the little things people do and show gratitude for them. Managers who have the attitude of “Why praise people who are doing what they are paid to do” often have teams that do the bare minimum required. Some employees, however, will not have an opportunity to go above and beyond their normal job duties and achieve something amazing, so they are often overlooked and overshadowed by the team stars. When managers notice small accomplishments that typically go unrecognized, they can create a motivating workplace where all team members are stars in their own way. By focusing on small wins, like finishing a report with no errors, and giving the employee a quick “thank you for a good job well done,” you motivate them to continue to deliver quality results and bepositively productive. 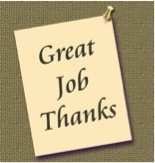 By spreading recognition and praise, your employees will be happier at work and will be more productive. Your entire team will benefit. Your ability to communicate your expectations, give effective feedback, and make successful delegations are fundamental to creating an accountable staff that ispositively productive. Communication and accountability go together and both are necessary for good leadership. Today, many managers and employees rely so heavily on technology, using e-mail and texting, that communication has become impersonal and, to a certain degree, ineffective and unproductive. While e-mail and texting make communication faster, they can interfere with your ability to create accountability. Take time to listen to your team. When you truly listen to someone, you pay attention to him or her without distractions or interruptions. This demonstrates your respect for the person, makes them feel heard and understood, and deepens your connection with them. 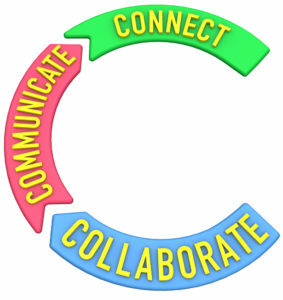 (More information in my blog post Three Key Listening Skills. Be open with people and create a safe environment. Let your employees know that it is safe for them to express their ideas, give their opinions, and propose solutions to problems. Avoid interrupting. You want to concentrate on what the person is saying, not formulate your response. Interrupting someone is rude behavior and shows a lack of respect for the other person. Show your interest. Nod occasionally, smile, ask good questions that show you are listening, and keep your posture open and inviting. Watch for body language. Body language says more than your words say. Use an open, inviting stance and maintain good eye contact with the person. Make sure your body language agrees with what you are saying. You can see how effectively you are communicating by reading the other person’s body language. If it looks as if they are resisting you by pulling away, avoiding eye contact, or appearing bored, ask a question to bring them into the conversation. Walk the line. This is a valuable tool for creating connections with your staff. Get out of your office and walk around. Stop to chat with your staff. Show them that you are a leader who cares about them as people, not just employees. Meet one-on-one with employees. In-person meetings are necessary for creating an accountable environment. Employees need to know that they have to show up and deliver results. Using the SOAR Formula, (See Part 1 of this series for more information) making successful delegated assignments, and motivating employees all rely on effective communication. This four-part formula is your solution to developing an accountable staff that is positively productive in 2019 and the years to come. Continuing my series on Creating Accountability, today’s post is all about motivation. Let me start by stating that you cannot motivate someone to take action; you can only create an environment that supports motivation. How? Here are some quick tips to create a motivating workplace. Stop thinking that you can motivate with money. Sure, it perks people up for a while, but it’s a short-term solution. Find ways to tell your employees that they make a difference in the success of the team and the department. You can easily do this by acknowledging their efforts with personal notes or mentions at staff meeting. Give employees the opportunity to learn new skills through in-person training programs, e-learning programs, and conferences. Find out what motivates your staff by asking them! Use anonymous online surveys or have a candid conversation with your employees. Surprise employees with ad hoc rewards, such as gift cards, time off with pay, or another cost-effective way of encouraging positive performance. Take generational differences into account. Generally, older employees (Traditionals and Baby Boomers) prefer tangible rewards, public recognition, and promotions. Generation X prefers flexibility in scheduling, rewards that foster work-life balance, and high-tech tools. Generation Y wants everything to be fun, fast, and high tech. Reward the youngest generation with opportunities to work with older, more experienced team members on exciting projects. (For more information on generational differences, see my blog post Bridge the Generation Gap and my e-book Leading 4 Generations. Start to create a motivating environment by giving regular, encouraging feedback and using a variety of tools to recognize your team. You will gain a more motivated, more accountable team that is positively productive. Come back next week for Part 3 of my Creating Accountability series and discover tools for using delegation to create accountability. 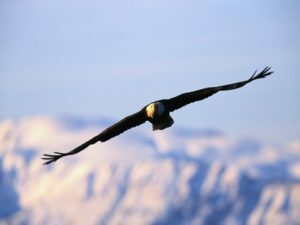 Help Your Employees SOAR in 2019! O = Outline what you are feeling about the situation, the behavior, or its impactand help the employee understand the effect of the behavior. Check out our leadership course, Lead4Results, for more information! Come back next week for Part 2 of my Creating Accountability series and discover tools to motivate employees! Focus is necessary if you want to excel in any activity, be positively productive, and achieve the results you need, but focusing at work can be challenging. Here are some tips to make focusing easier. Be proactive about interruptions. When you are interrupted, it takes up to 20 minutes to regain your focus. Be assertive when someone tries to interrupt you. Tell them politely that you cannot be disturbed now and will contact them at a specific, later time. If necessary, move to an unoccupied office or conference room and close the door. See my blog post Take Charge of Interruptions. Take breaks. Intense focus is good for only about 50 to 60 minutes before it is depleted. Set a timer to remind you to stop working and move for about 5 minutes. Get out of the office, stretch, grab a snack or drink. When you return to your desk, you will be ready for another round of focused activity. 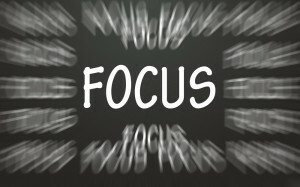 The ability to focus is a critical factor in being positively productive and getting things done. Practice focusing for a set amount of time each day, and you will see dramatic results in what you achieve. 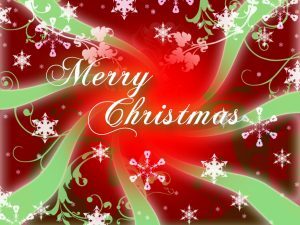 I wish you, your family and your employees a happy, healthy, prosperous holiday season and new year! Improving leadership skills should be an ongoing activity since by devoting time to enhance your skills, you improve your career potential. Remember to develop the leadership skills of your staff, too. As we move into 2019, consider starting a book club where every team member reads and discusses a book or listens to an audio, YouTube video, or podcast series. 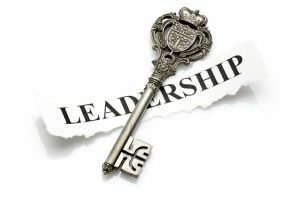 Consider offering or taking a training program that improves key leadership skills for both you and your staff. Here are some key skills to focus on in the coming year. Emotional intelligence. Leadership isn’t commanding others; it’s inspiring them to achieve more than they thought possible. Emotional intelligence helps you create a supportive, encouraging environment so that others are eager to follow and emulate you. Listening and assertiveness are key skills that serve you in all aspects of your life, but they are especially important for effective leadership. See my blog post Reduce Barriers to Listening. Decision making. People look to leaders when hard decisions need to be made. Honing this skill enables you to be a more effective risk taker, to look for and apply creative solutions, and to lead your organization in the right direction. Like it or hate it, networking is a major factor in long-term career success. Whom you know—and who knows you—can expand your pool of resources for finding answers to questions, gaining advice from peers and other experts, and discovering advancement opportunities. See my blog post Networking Made Easy. Developing leadership skills is a year-round activity, and I can help you with several programs that focus on different aspects of leadership. See them all at www.organize4results.com. If you’re like many managers, some of your staff are virtual, working from remote locations that may not be easily accessible for in-person communication or hands-on management. Data from Global Workplace Analytics show that the number of employees working from home has grown by 140% since 2005. A 2017 Gallup study reported that 43% of Americans spend at least some time working remotely—either at home or at distant locations. Even if you don’t currently have remote employees, it’s probable that you will in the not-too-distant future. As Boomers leave, their ranks will be filled with Generations X, Y, and Z—employees who value work-life balance. This means that flexibility will become the new norm. Here are some guidelines for managing remote employees. Set performance expectations. Both you and the employee must clearly understand what needs to be delivered, how results will be measured, and how much authority they have to make decisions. Empower employees.Show that you trust them to produce results by letting them act independently and providing resources and support, as needed. Establish lines of communication.Based on your company’s policies regarding virtual communication, privacy, and confidentiality, consider texting for quick communication and questions. Outlook rules and Gmail filters let you set up inboxes for remote staff that bypass the regular email inbox. Brush up your virtual meeting management skills. Set up regular check-in meetings with remote staff and send an agenda before the meeting that includes topics, speakers, and allotted time. 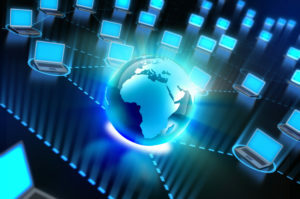 Make sure the technology you are using works on remote desktops. Ask participants to mute their speakers to eliminate random background noise and have everyone identify themselves before they speak. Recognize and reward. Since remote employees often feel disenfranchised from their peers in the office, it’s important to make them feel valued and important. Make sure you recognize accomplishments and freely pass out rewards to remote staff. When promotional opportunities arise, look beyond the staff in front of you to those working at a distance. Don’t let remote staff stay gone too long. Regularly bring them in to meet in person and to strengthen team bonds. This helps you deepen your relationship with them, lets you see how they are developing, and shows you what they need to continue to excel.